Hello and welcome to our introduction page for Explore Your Archives 2017! 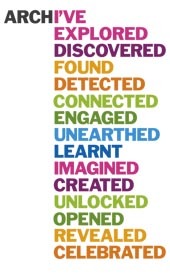 Explore Your Archives is an annual campaign that showcases the best of archives and archive services in the UK and Ireland from 18-26 November. This year we will be running a daily feature on the school records held here at Stirling Archives. We will provide information on what information you can find in school records and highlight some fantastic examples. Here is our schedule for the next week (20-24 November). Friday: What other records might I find?